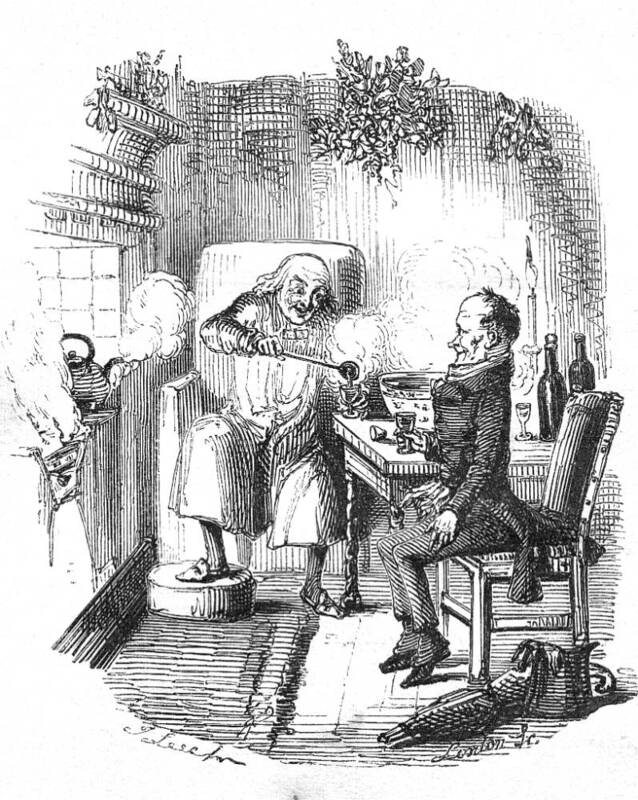 "Scrooge and Bob Cratchit," or "The Christmas Bowl"
Last illustration in A Christmas Carol, dropped into the text of p. 164. In his last illustration Leech reinforces the notion expressed by Thomas Carlyle that mutual goodwill between man and master should replace the attitude that "business is business" and that the only bond between the capital and labour is monetary (the "cash nexus"). Thus, Leech's final image complements the highly nostalgic frontispiece Mr. Fezziwig's Ball.